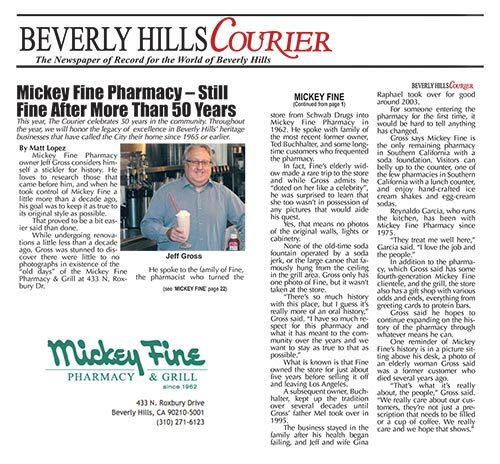 Mickey Fine is family owned and we treat our customers and employees as part of our extended family. We have third generation customers and team members that have been with us over thirty years. 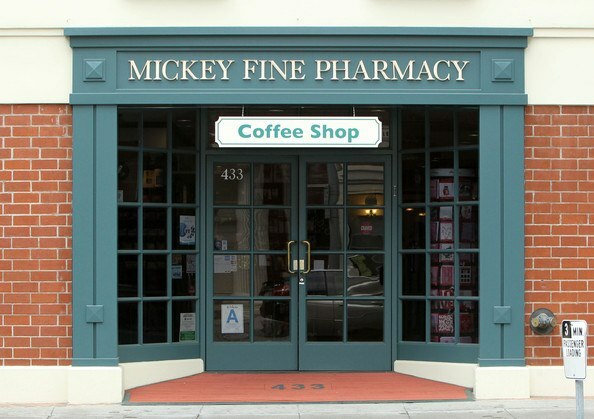 At Mickey Fine, our motto is “Where the best costs no more.” We live that philosophy every day. Please do not hesitate to contact us if we can be of any assistance. 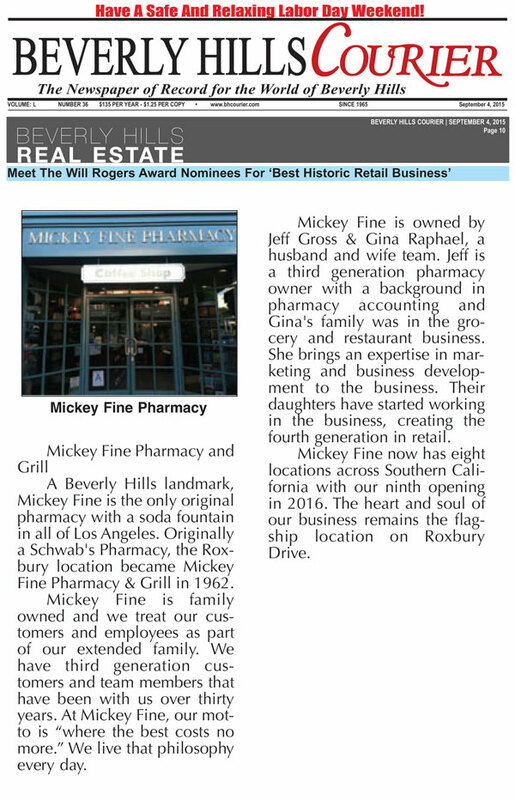 Mickey Fine Pharmacy & Grill nominated for Best Historic Retail Business. 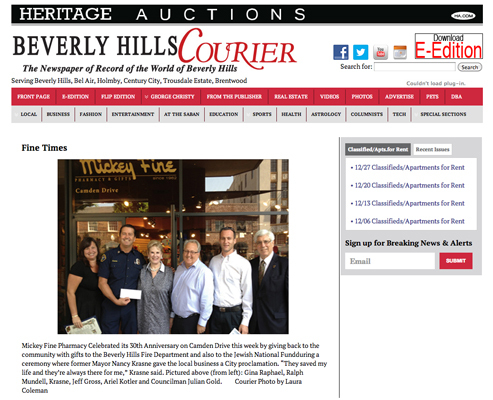 Mickey Fine Pharmacy owners honored at Israel Bonds L.A. Women's Division Golda Meir Lunch. 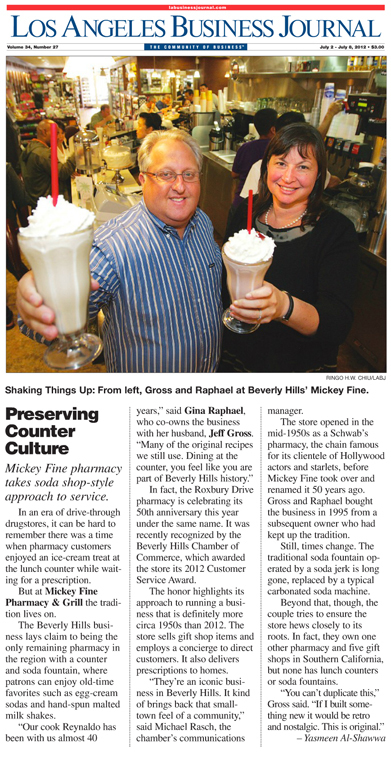 Mickey Fine Pharmacy - Still fine after more than 50 years. 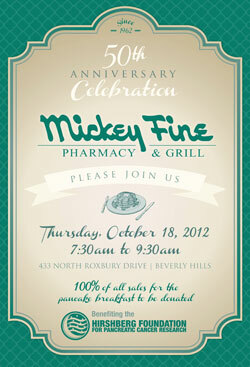 Mickey Fine Pharmacy Celebrated its 30th Anniversary on Camden Drive. Mickey Fine is proud to support the Hirshberg Foundation to Fight Pancreatic Cancer.